Polyether-based, single-component, water-reactive elastomeric sealing mastic and adhesive used to bond SOPRAMASTIC BLOCKS between them and to horizontal and vertical surfaces in the SOPRAMASTIC BLOCK system for details and penetrations. 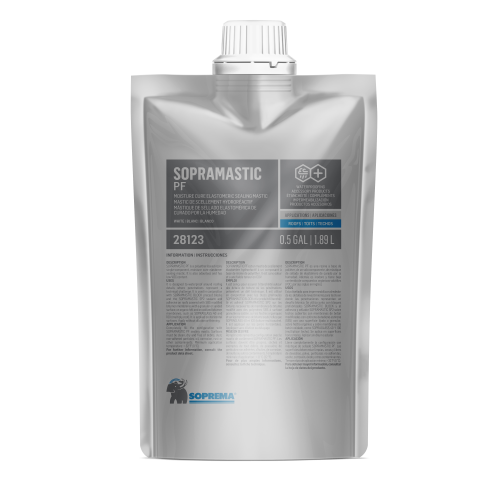 SOPRAMASTIC SP2 sealant and adhesive must be kept at a temperature between 0 and 26 °C (32 to 80 °F) at all times. Store in a ventilated place, away from heat, moisture and sunlight. Keep away from frost. 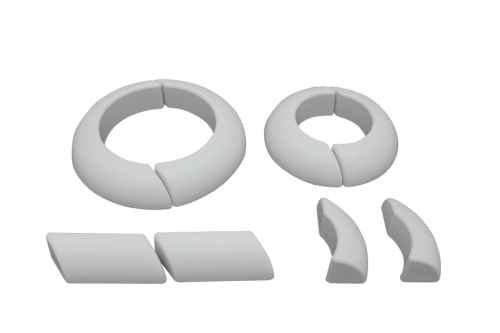 Precast blocks made of polyester resin used in the SOPRAMASTIC BLOCK system for details and penetrations.